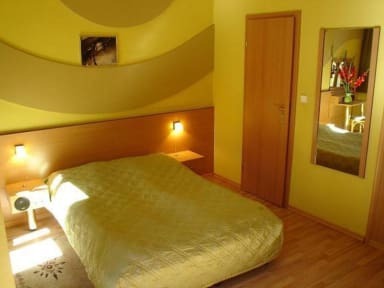 Jordan Guest Rooms is located in the city centre of Krakow. It takes only 5 minutes to reach the Main Market Square and 10 minutes to the railway and coach station. 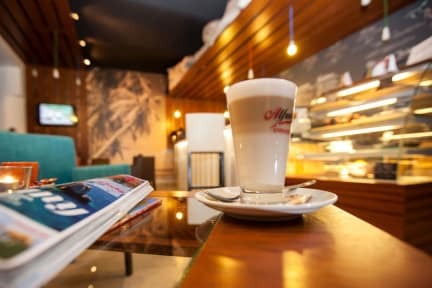 Its a perfect location, just a stone's throw from the greatest landmarks of the Old Town: the main Square, the Cloth Hall, St. Florian's Gate and the Wawel Royal Castle which can be easily reached on foot. Jordan Guest Rooms has for guests disposal 43 beds in single, double, triple rooms. 6 rooms with economy type - are faced to glassed light corridor with individual Air- Conditioning. The room with queen bed (140x200). Room equipment: Internet (LAN) connection for free, SAT TV, LCD with radio, safe, desk, telephone, bathroom equipped with: shower, hairdryer, towels and cosmetics. -cosmetics and souvenirs for sale. There is also a small mini - bar and internet point near our reception. Our qualified, polite and discrete staff is always very helpful and is at pains to make our guests feel at home. We wish your stay in our hotel to be full of nice experiences, convincing you to visit us again in the future. We invite you very sincerely. Standard Cancellation policy: 1 day before arrival. Non refundable - no cancellation possibility. Check in time is from 02.00 p.m. Check out time is till 11.00 a.m.
Breakfast is served in our restaurant 'Biblioteka Magellana' in a buffet form between 07.00-10.00 a.m. and is included in the price. Payment upon arrival by Credit cards or cash - polish zloty or euro. All children under 4 years stay free of charge when using existing beds. All children under 2 years stay free of charge for cots. All older children or adults are charged PLN 112 per night per person for extra beds.